Another week, another update of course! 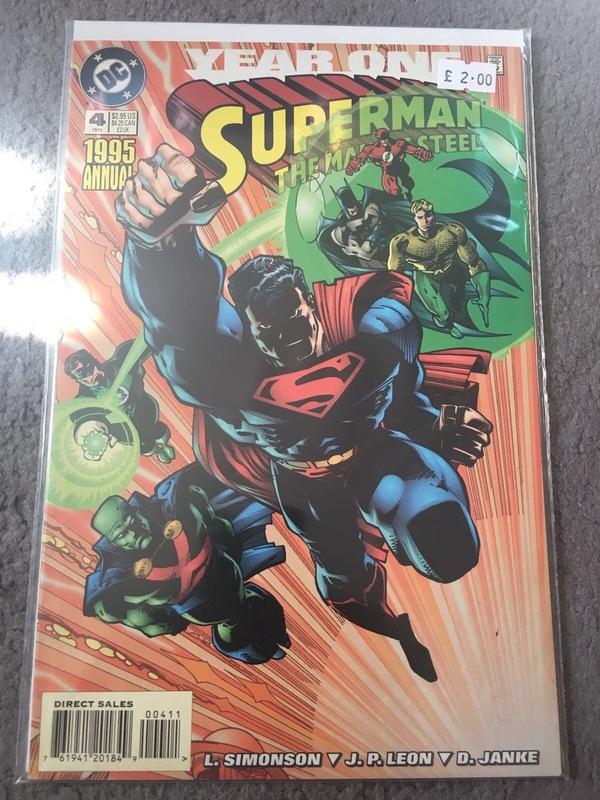 I am so happy to add this to my collection! One of my Instagram followers messaged me to say they had dug it out of the attic after putting it in there when he was a child. We bartered on price for a little while, but all in all I got an amazing deal and it was shipped all the way from the US. The condition is great! Few scuffs on the head and a slight tear in the back of the suit, which is great considering its almost twice my age! I’ve seen the heads alone of these go for around $40.00 on American eBay – they are nowhere to be found on the UK eBay. Mego dolls are so hard to find! Click the link to read a little more about them. Now I have this one twice but the previous one is very scuffed and without a box or case, this one is pristine and still has its protective cover! Hallelujah! Corgi cars are always a great item to have as they will never lose value (unless too damaged), they will only go up! Not bad for £1.25 on eBay. 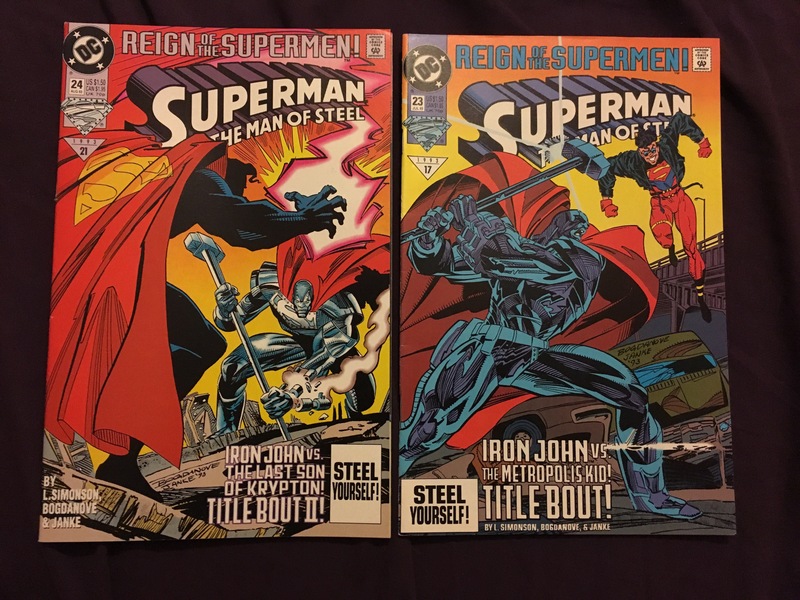 I know I keep going on about car boot sales but the next “The Man of Steel” comics in the post are ALLLLL from a car boot. 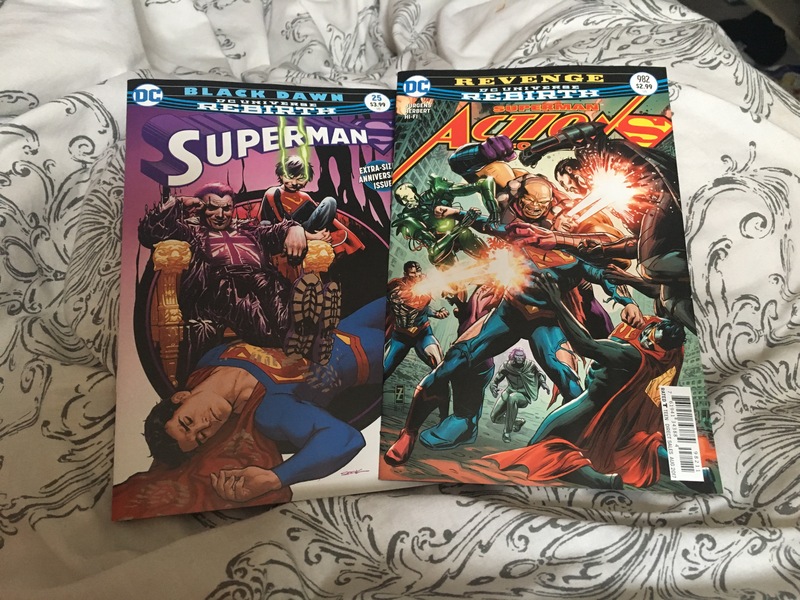 10 comics for £10.00! 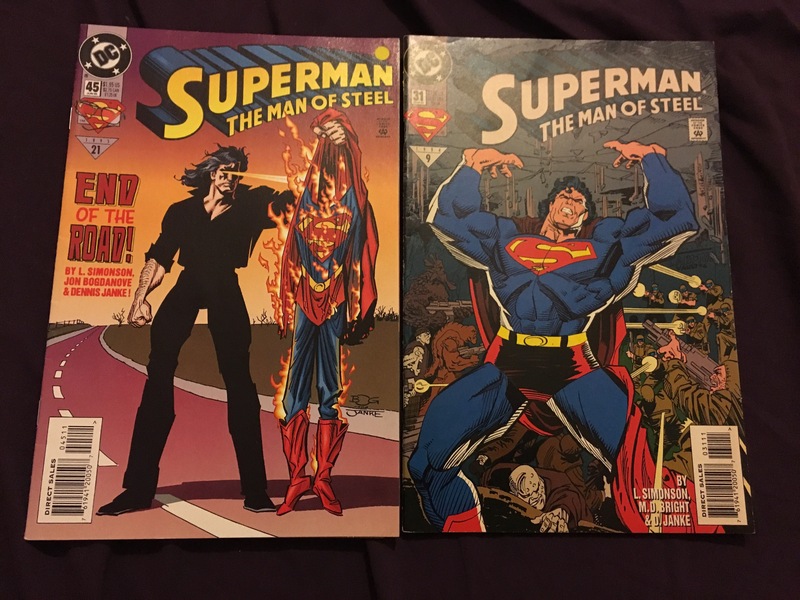 The guy who was selling them was saying that he has thousands of comics after collecting them for years and is going to set up a website to sell them, of course I took his email address and will be in touch for the rest of his Superman comics! 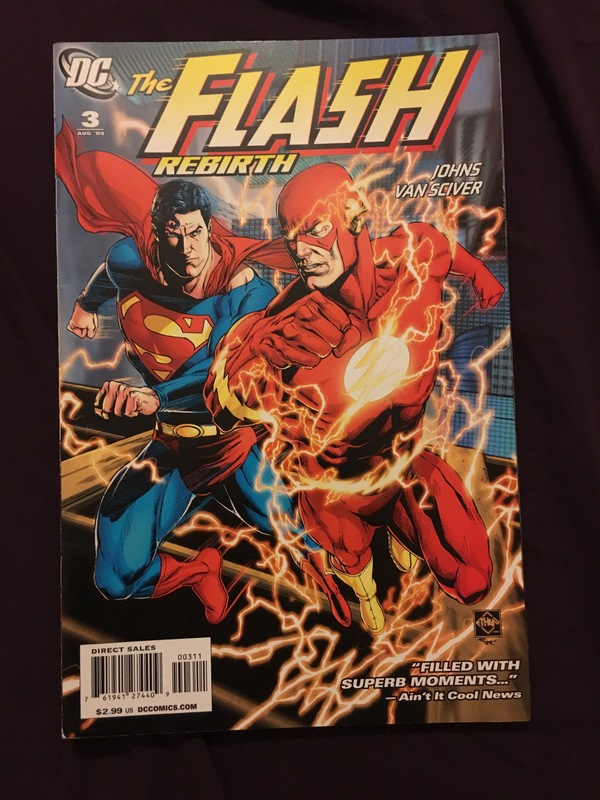 Although its a Flash comic, I couldn’t resist as it has Supes on the cover. Another one from the car boot. Car boot, blah, blah, blah – getting close to a full set of these! Now these comics are my first ever Forbidden Planet Subscriptions. I have to say its the best thing I’ve ever done! They don’t charge you until your items are dispatched, which is really good. And I’ll now never miss an issue! 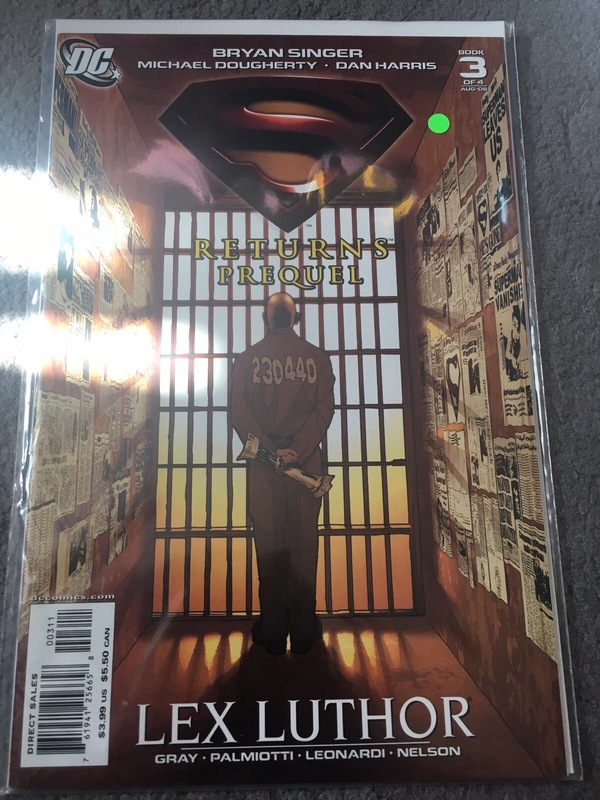 I’ve never seen these comics before, until now of course! Can’t wait to find some more to add to the reading collection. I’ve head a LOT about these series – all good things of course! 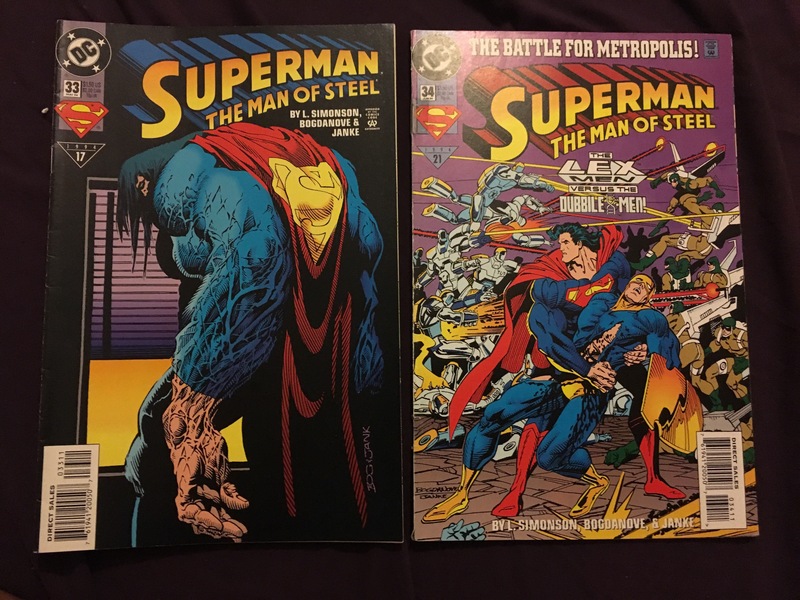 I can’t wait to read these, but of course I need to get more than just one before I do that! 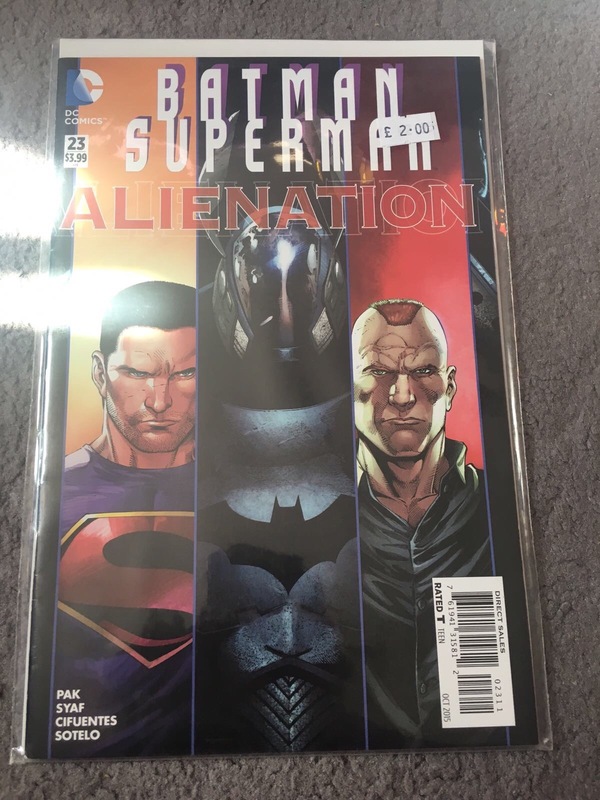 Love the plug for Batman V Superman too! Knowing that there only three more comics to get in this set is just tempting me to buy them sooner! As much as everyone hates on Superman Returns, I loved it. 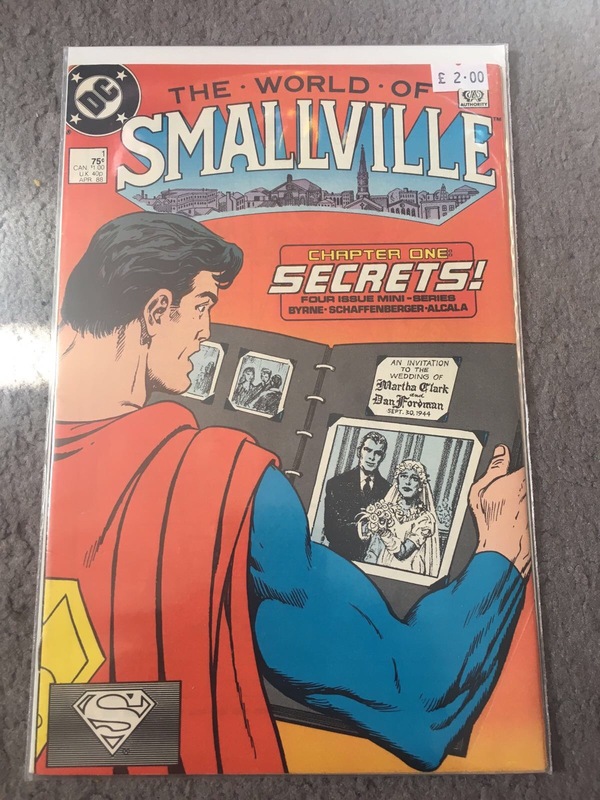 I was actually a little gutted to see that story not progress – with SuperBoy! 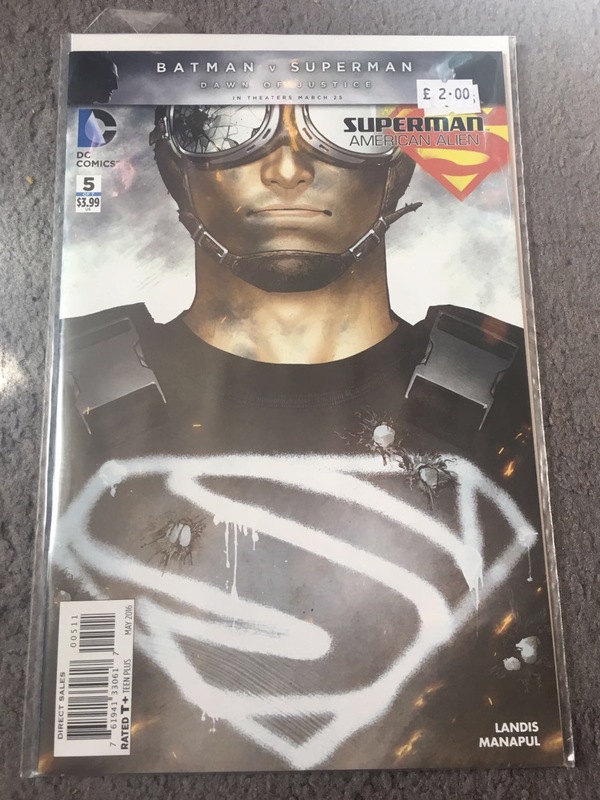 But of course, also glad we got to see Cavill’s Superman. 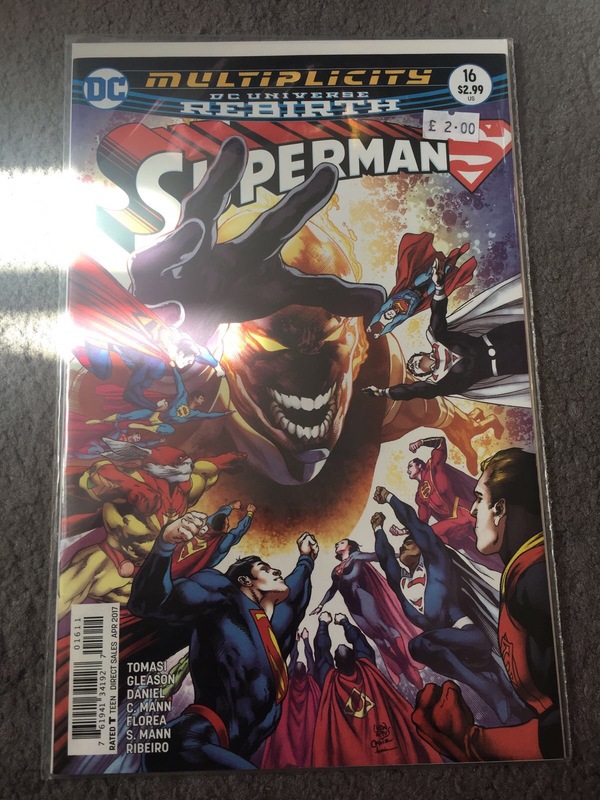 The Rebirth comics are probably the least of those that I do have, so I definately need to get to grips on getting some of these! I now have a subscription so I won’t miss any of the future issues, so now it’s time to fill in the gaps! I just love the idea of this! Almost like an anime Justice League! 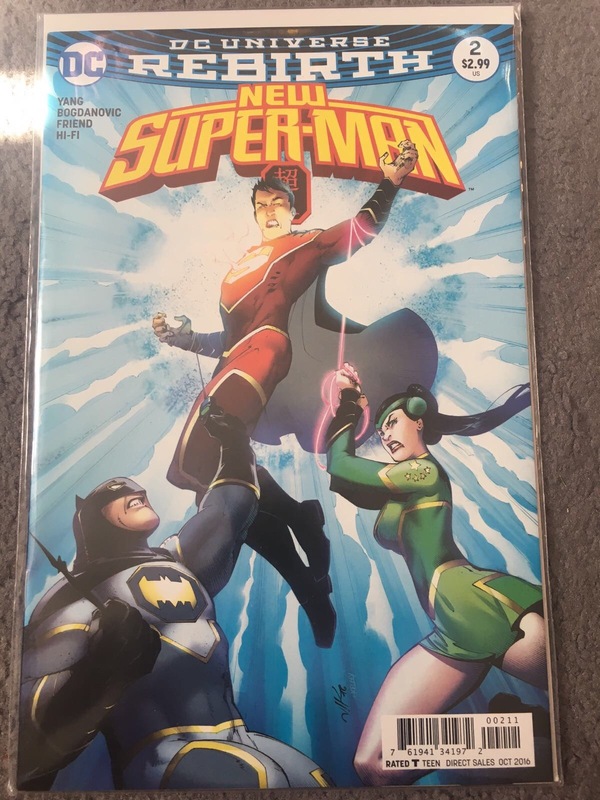 Love this cover and an annual issue of course… Love that almost all of the League are together! 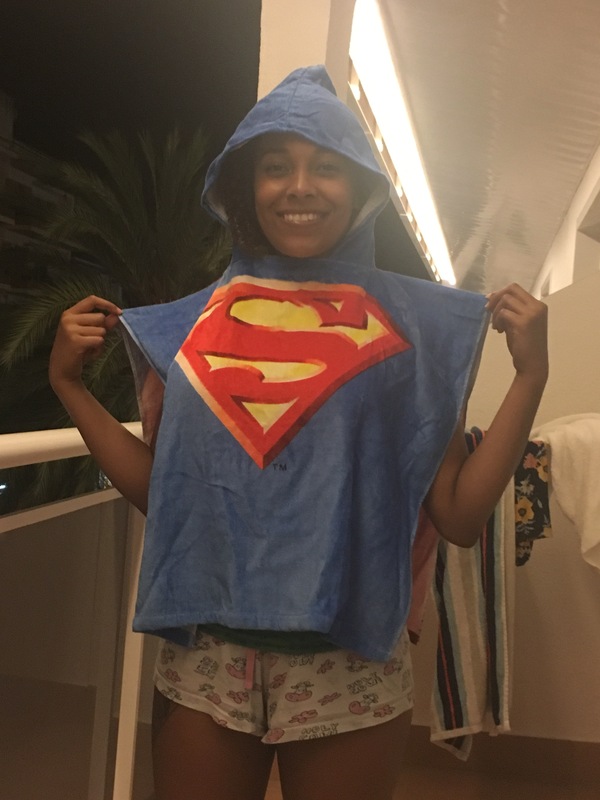 I just couldn’t resist this on holiday! Look at how happy I am! It is for kids and, yes it’s a little hard to get back off over my head when I take it off, but just look at how cute it is! Of course more items to follow…. As always. 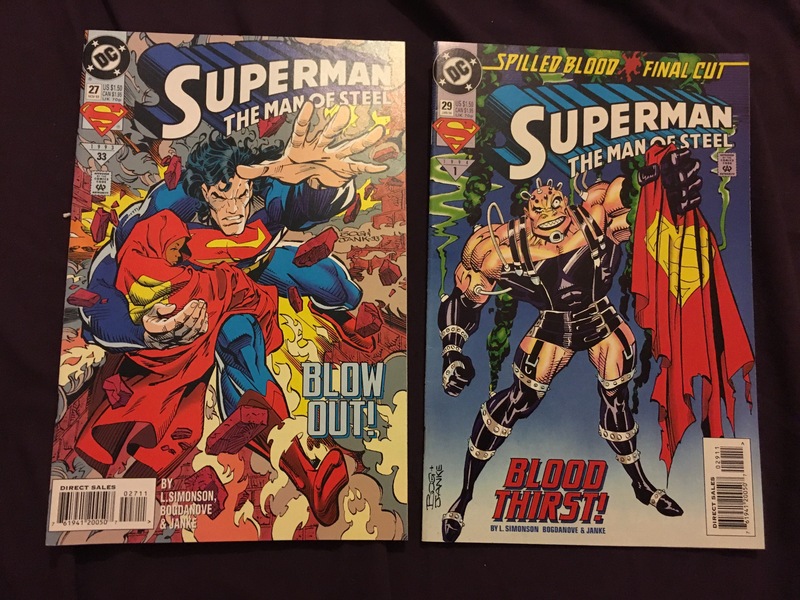 These items now take my collection to a total of 981 individual Superman items. Congrats on these great additions! 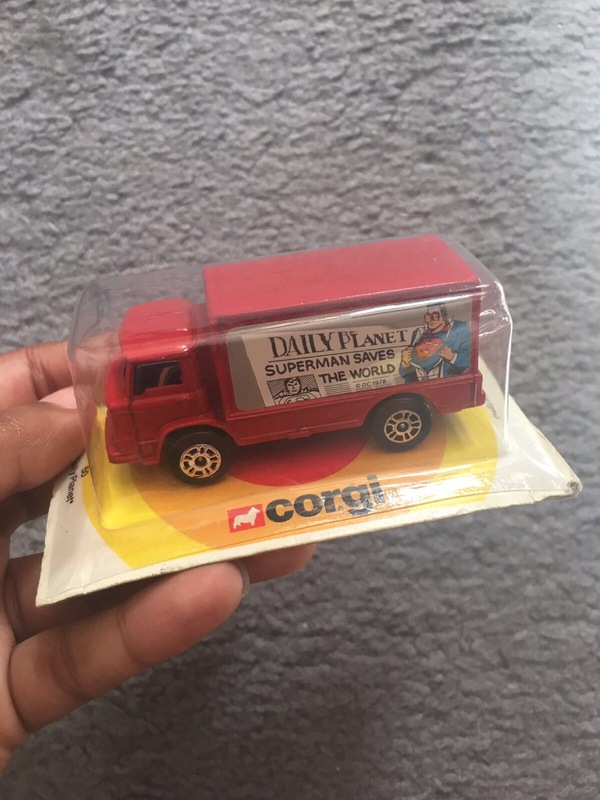 The Mego 12″ figure and the Corgi Daily Planet delivery truck have been elusive for me so great job! I guess it’s obvious based on my interest, but I always can’t wait to see more of your collection. No, I’ve been trying, but haven’t been successful for one reason or another. Still, I’m happy with what I have collected so far and continue to be summoned like a mindless zombie to Superman items I find. Ah… the price of fandom. Me too! What numbers your collection up to so far? Yep my bank account definately takes one hell of a hit! You know, I have no idea what the total amount is. I know that I’ve got many boxes of items so, I’m guessing a couple of thousand or so. I really don’t know. Perhaps my log will help me figure that out… eventually. Do you remember anything else about it? I might know!